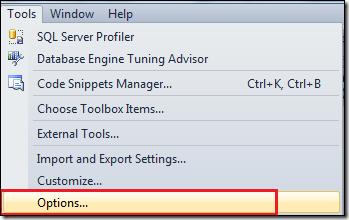 By default, SQL Server system objects are outlined in Object Explorer in Management Studio. These technique objects embrace system database, system tables/views/procedures etc. 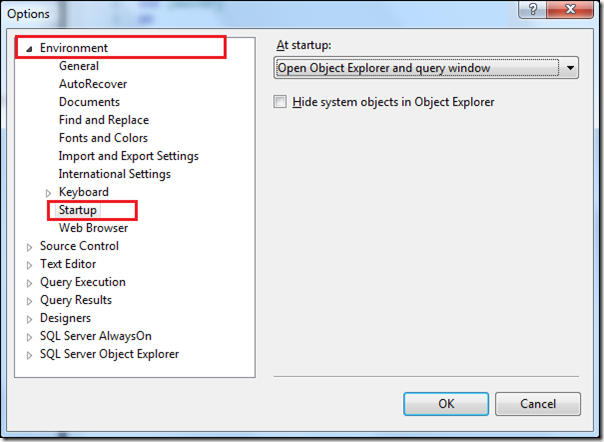 SQL Server Management Studio gives a choice to hide these objects from Object Explorer to avoid accidental use. To allow this choice stick to below actions. First, You must click on Tools then choose Options. Next Step, Go to Environment then choose Startup. 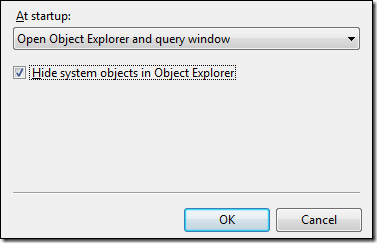 When you restart SQL Server Management Studio, you’ll discover system objects are not shown in Object Explorer .